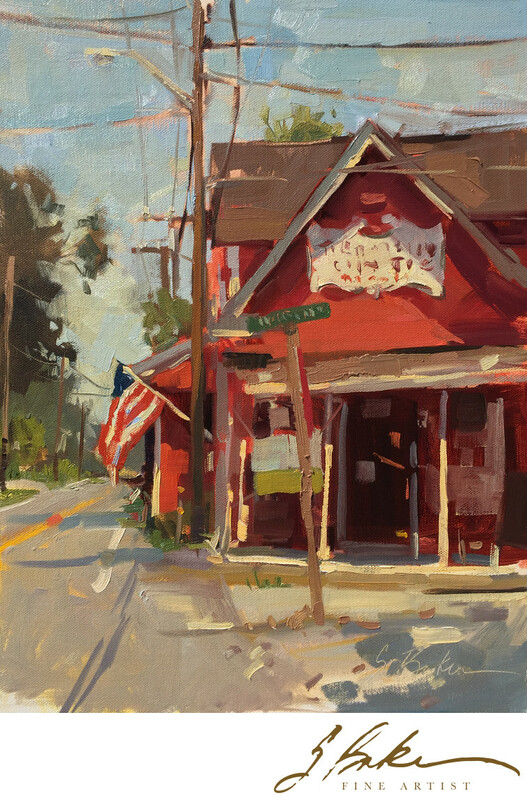 Painted during the 13th Annual Plein Air Easton in Maryland. The Tilghman Island Competition marked the optional, first event of Plein Air Easton 2017. Despite the 100 degree heat, many artists participated. I spent my afternoon in the shade of a tree and my minivan hatch painting this iconic country store. The owner graciously offered drinks and a snack to artists and more importantly, an air conditioned bathroom.